Girls pretty green/brown with polka dot bow. 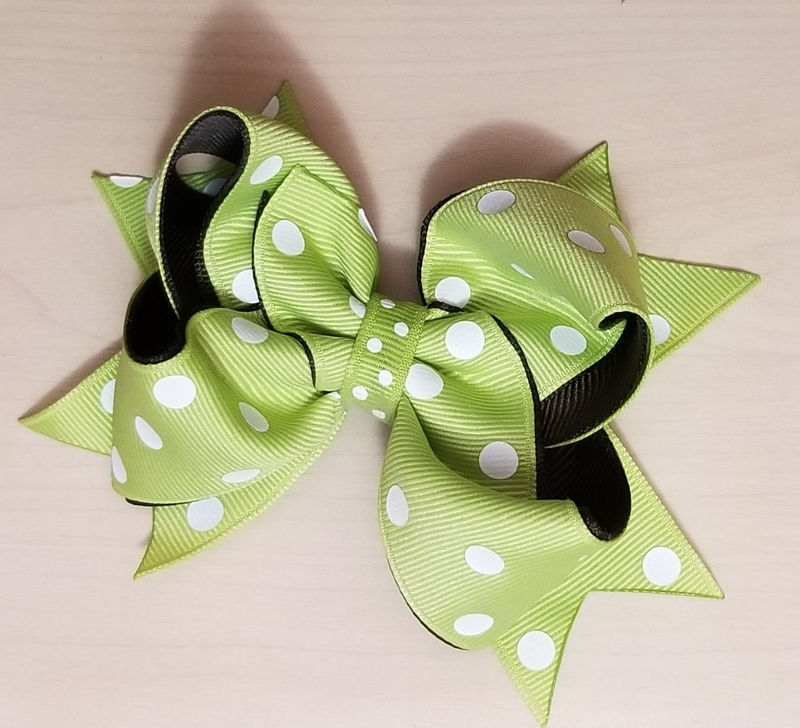 This is a lovely toddler to girl green with white polka dot bow with a brown subtle underlining. Easy on/off with alligator clip, measures about 5 in wide.